It's been sometime since I've posted a flight review on here so I thought I would bring you one that I did take a few pictures on! 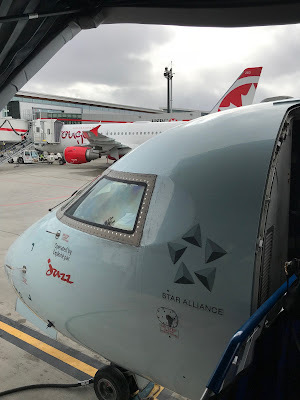 Here is the actual review of our YYC-SFO flights! The flights between Calgary and San Francisco are operated by Air Canada Express (Jazz) with CRJ-900s. It’s been probably 10 years since we’ve flown on a CRJ and that last flight was in Economy Plus on United from SFO to Calgary! 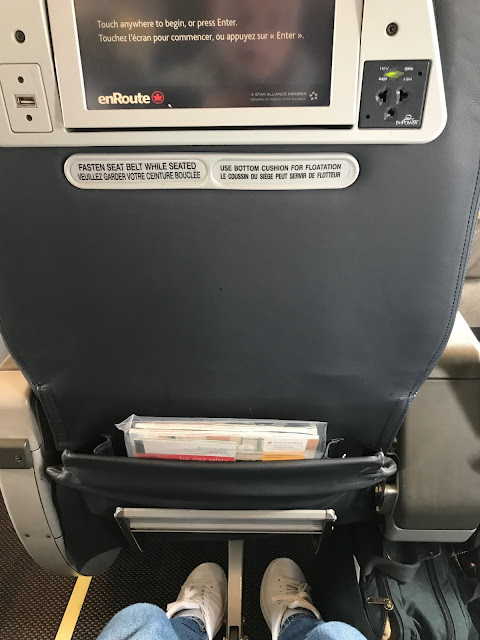 The flight down had an older plane while the flight back had a much newer one which was super clean, had LED lighting and felt and smelled brand new! Flights in both directions were delayed, especially so for the return. On that return flight the incoming plane was apparently held in Calgary due to ground delays at SFO for the rain. 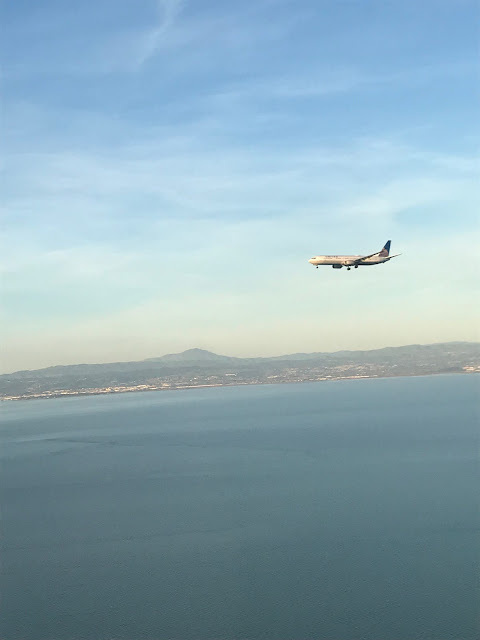 In SFO we wanted to visit the American Express Centurion Lounge for the delay, we went in and were out within about 5 minutes as it was so crowded! The line up to get drinks from the single bartender was at least 10 people deep if not more. Even with further entry restrictions on these lounges they are proving to be so popular that they can't be enjoyed. We found a much quieter and surprisingly comfier spot in terminal G where AC flies out of, sure the food and drinks weren't free but the sanity was worth it. In flight service both ways was attentive and good. There are no complaints at all with the friendliness of the crews as well as the drink and snack selections. Food was so-so for both flights. 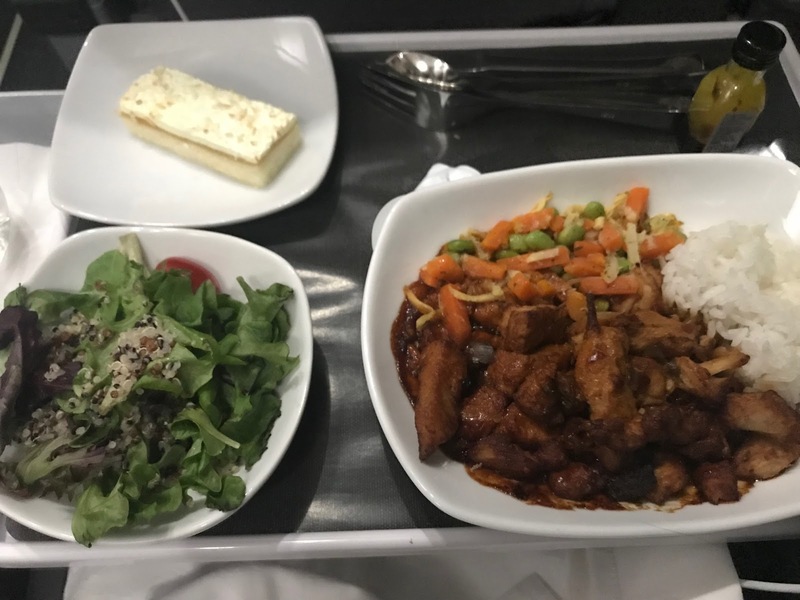 Going down to SFO the chicken dish was edible and on the return flight you could tell the my wife’s meal was at the hottest part of the oven as the rice was rock hard while mine was probably next to it as it was partially hard! On the flight back to Calgary the in-flight entertainment system was inoperative and despite several resets the cabin crew could not get it to work. 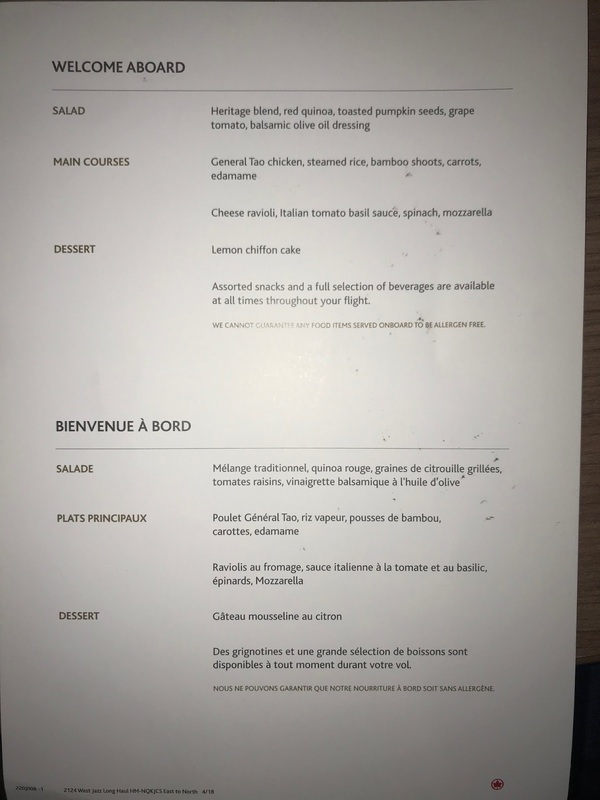 They had issues on the flight down to SFO as well so the attendants already had compensation cards ready and handed them out to all of the business class passengers. Good planning on the flight attendant's part! Overall flying AC domestic business class between Calgary and California is always nice and many times it is a great deal price wise - we've been lucky enough to do it quite a few times and find it a better option over WestJet's Plus cabin although the latter will start implementing a true 2-2 cabin so we'll have to see how that compares! 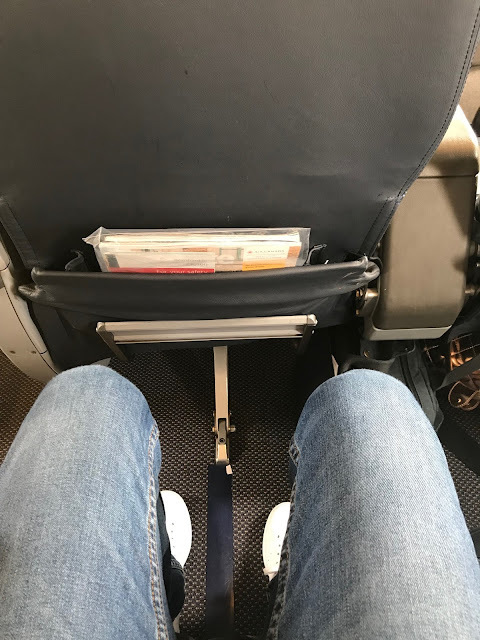 You may ask, why did we fly business class on this relatively short flight instead of economy and bring the price down even further? Well, we were lucky, when booking the flights business class was pricing out only about $100 more than economy - likely to compete with WestJet's Plus pricing and when you factor in bag fees, seat selections fees and so on with the economy class fare not to mention extra Aeroplan miles earned in business the difference ends up only being around $40 which is more than worth it on a ~2 hour flight. For future flights I would definitely fly Air Canada Express' Business Class on this route if the price is right like it was for these ones!